Walt Disney World has announced the official opening date for the New Fantasyland expansion of the Magic KIngdom as December 6, 2012. 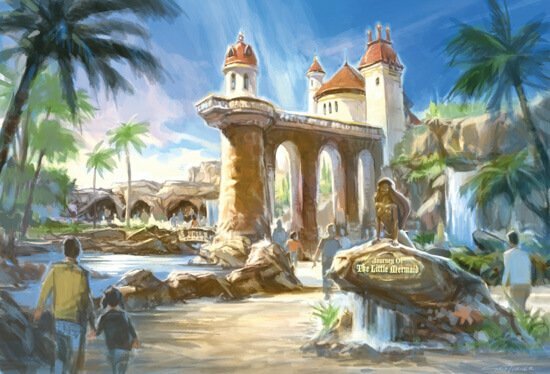 This grand opening will include Under the Sea ~ Journey of The Little Mermaid, Be Our Guest Restaurant, Enchanted Tales with Belle, Ariel’s Grotto, Gaston’s Tavern and Bonjour! Village Gifts. Select advance previews of New Fantasyland will begin a couple weeks prior, on November 19, 2012. This date will begin a general preview phase for all guests of the Magic Kingdom, just in time for the busy Thanksgiving week. The previously-announced Annual Passholder preview, previews for DVC members, Cast Member previews, and other unannounced soft openings will take place “well before” the grand opening date. As with any preview, not everything within the new area is guaranteed to be open or operating during the time leading up to Dec. 6. 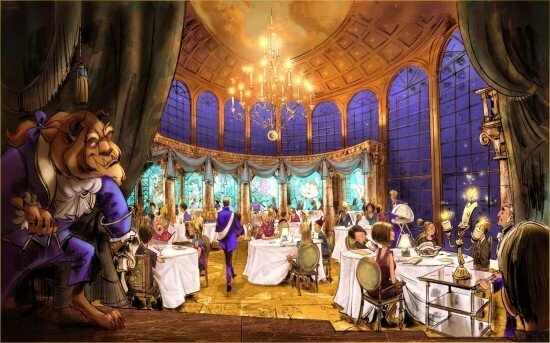 Be Our Guest restaurant reservations will soon be available, some time this month. Under the Sea ~ Journey of the Little Mermaid is officially described as “a major attraction where guests will travel with Ariel and her friends through their exciting adventures above and below the waves – all against a musical backdrop of songs from the film.” In addition to the dark ride that also opened at the Disney California Adventure theme park, the experience will include “Ariel’s Grotto,” a meet-and-greet with the mermaid heroine herself. The Be Our Guest Restaurant will feature three dining areas from “Beauty and the Beast,” the ballroom, gallery, and mysterious “West Wing” of the castle, featuring seating for 550. Also in the area called Belle’s Village will be Gaston’s Tavern, Bonjour! Village Gifts, and Enchanted Tales with Belle, an interactive meet-and-greet with Belle and Lumiere set inside Maurice’s workshop. Following these openings, more of New Fantasyland will open in 2013 and 2014. Princess Fairytale Hall will be the new home for Disney Princess meet-and-greets (opening in 2013) while the Seven Dwarfs Mine Train will take guests on a musical ride into the mines of “Snow White and the Dwarfs” (opening in 2014). Thanks for the post Rickey! The crowds will be MASSIVE! Hope to be able to see it eventually. Interesting timeline. I really enjoy going during that time of year. I am planning on going in February 2013, can’t wait to see the new fantasyland. You don’t know if Jodi Benson and Paige O’Hara will be there for the opening day??? i really hope so!! Didn’t even know about the opening and we are going to be there on the 6th for grandsons 5th birthday! So excited!! Celebrating a milestone birthday in WDW and yes, my actual birthday is December 6th! So excited!! Paige O’Hara will be at the opening date!!! And Jodi Benson and Lea Salonga at the Candlelight i hope you make interviews with the 3 princesses!! !